Naples, Fla. (October 27, 2017) – The Naples area housing market maintained positive traction during the Third Quarter of 2017 despite enduring a hurricane that impeded activity for three weeks in September. 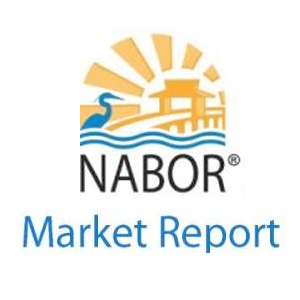 According to the September 2017 Market Report released by the Naples Area Board of REALTORS® (NABOR®), which track home listings and sales within Collier County (excluding Marco Island), there were 398 closed sales during the month of September, a 30 percent decrease compared to September 2016. September proved challenging for the real estate market as homeowners and agents were forced to wait while public and utility services rebuilt or repaired infrastructure damaged by the hurricane. This was reflected in statistics released for September, which affected total outcomes for the Third Quarter of 2017. However, year-to-date numbers tell a different story as activity in pending, closed and median price categories were up year over year at the end of the quarter! 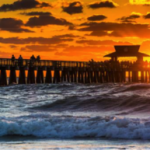 “To withstand a hurricane and still outperform last year’s activity is a clear sign of market resilience,” said Budge Huskey, President, Premier Sotheby’s International Realty. Broker analysts who reviewed both reports agreed that our county’s hurricane building code standards and quality craftsmanship by local builders helped to greatly reduce the amount of major structural damage in the area. “The hurricane hit us in the right month,” said Mike Hughes, Vice President and General Manager for Downing-Frye Realty, Inc., who went on to explain that September is typically when the housing market takes a breath before it begins to intensify again. Yet despite a direct hit by a major hurricane, overall closed sales for the third quarter increased 3 percent (year over year). Not surprisingly, the storm’s short-term impact on the housing market in September only tempered sales slightly in the third quarter by 5 percent (quarter over quarter), which translated to just 86 fewer closed sales than in the third quarter of 2016. Hughes added that activity in July and August outperformed the same months last year. If the hurricane had not hit the area in September, the third quarter of 2017 would have shown much more impressive activity. “That’s true. 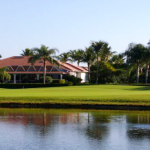 Our office saw more closings in the first week of October than it did for the entire month of September,” said Bill Coffey, Broker Manager of Amerivest Realty Naples. The hurricane’s force slowed inventory in September, which resulted in a third quarter decrease of 9 percent. Jeff Jones, Managing Broker at the Naples-Park Shore office of Coldwell Banker® said this was most likely a result of homeowners either delaying to list because they evacuated or removing a listing because they needed time to clean up and make minor repairs to properties following the storm. 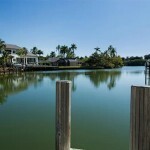 One element the hurricane failed to harm was the continued growth in property value for Naples. Overall median closed prices in the third quarter of 2017 increased 3 percent to $320,000 compared to $312,000 in the third quarter of 2016. Carroll added that sales of existing homes are poised to increase in the coming months too because much of the labor force stepped away from new construction to work for companies that provide a variety of property maintenance, including tree removal and lawn debris cleanup. Wes Kunkel, President and Managing Broker at Kunkle International Realty, added that material costs for new construction may increase too as there will be shortages across the country due to the hurricanes and fires. Carroll responded that delays in new home construction might spur increases in existing home values, especially if inventory does not keep up with the pace of sales. Compared to other tropical second-home destinations like Puerto Rico, the Southwest Florida housing market fared quite well after it faced a hurricane. 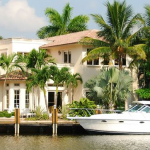 Broker analysts including Hughes and Kunkel beelieve our area may see an uptick in sales from buyers who had their eyes set on an island home in the Caribbean.